Can I send files directly from other messenger apps? 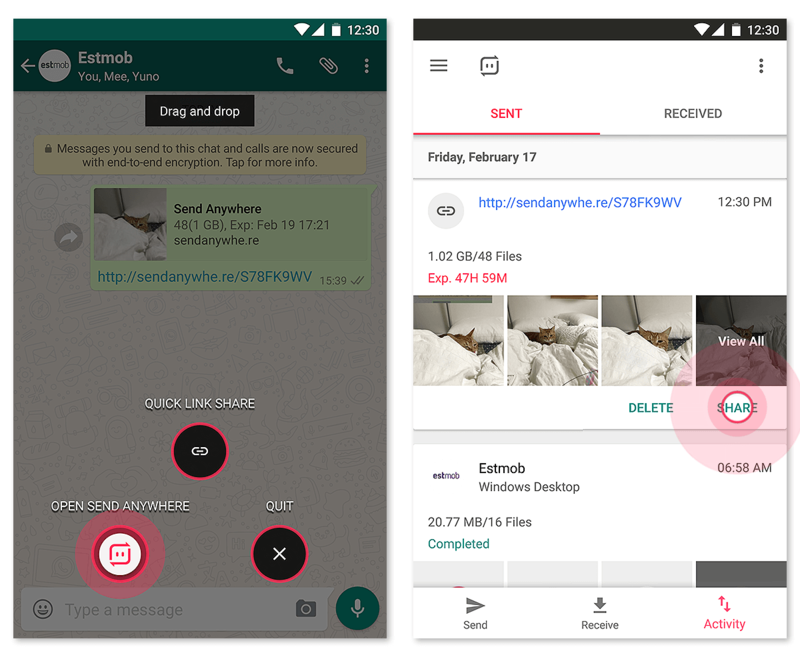 Quick Link Share (beta) allows you to share files directly from the messenger dialog via Send Anywhere. A floating icon will be displayed in the Messenger dialog. Tap the icon to select the file to share, then tap the link link icon to create a link. You’ll be redirected to the messenger screen with a link inserted. Once created, the link will expire in 48 hours. Anyone who knows the link will be able to download the file within the due date. 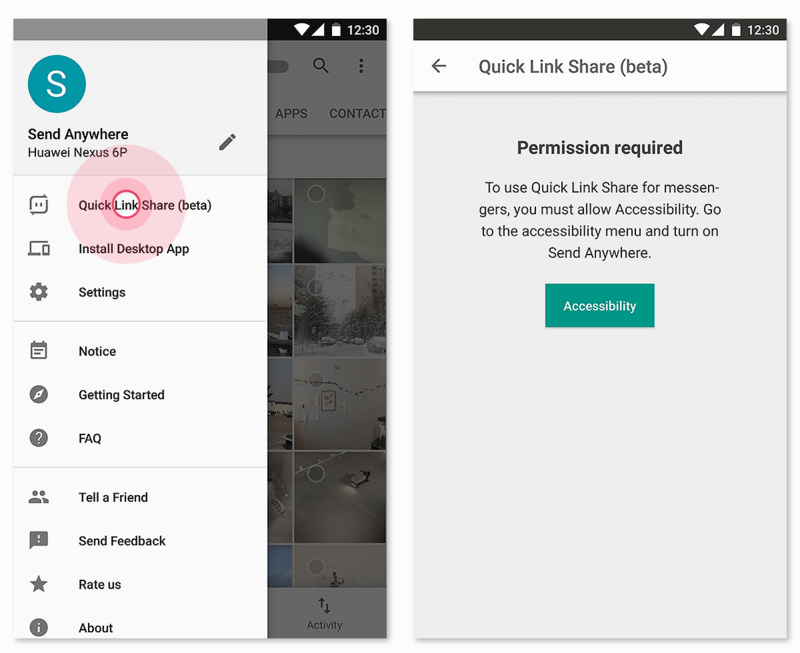 You will need to change your settings to use Quick Link Share (beta). * Only required for first use. The location of permissions menu may vary depending on device model. 1. Go to menu Menu > Quick Link Share (beta), tap the Accessibility button. 2. 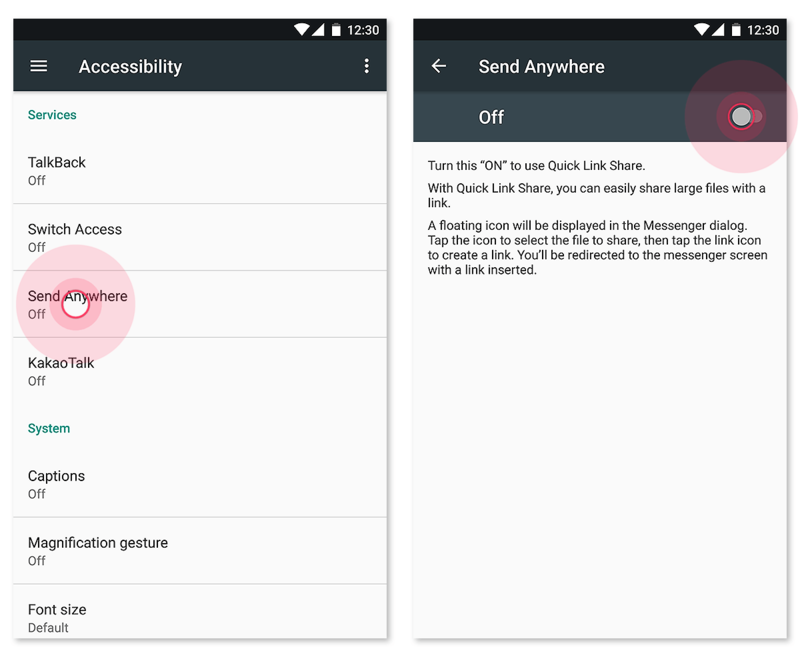 In the Accessibility Settings menu, tap into Send Anywhere and turn the toggle button to “ON”. 3. In the Messenger dialog box, please allow Send Anywhere to draw over other apps(or Apps that can appear on top). You’re done! A floating icon will be displayed in the Messenger dialog. 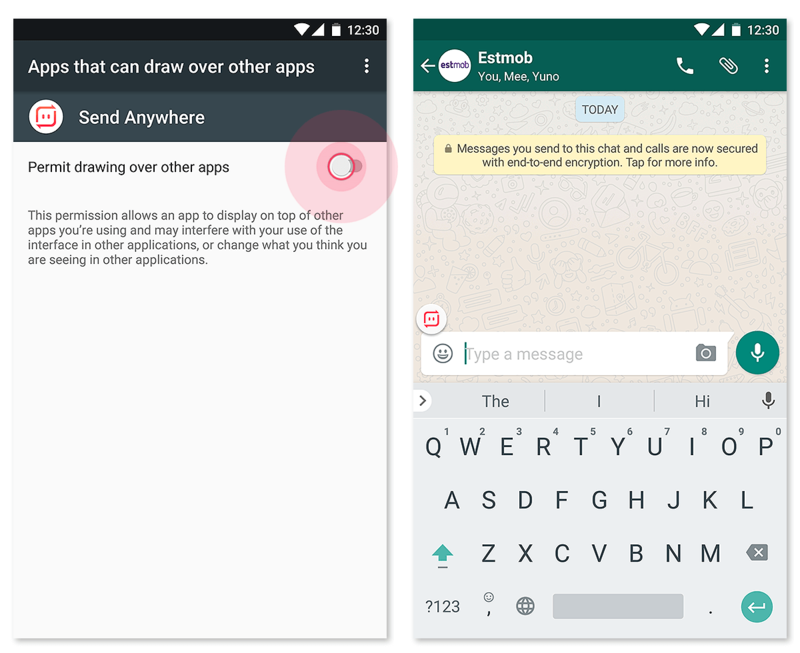 Press and hold the floating icon to OPEN SEND ANYWHERE to launch Send Anywhere app. You can view the Activity menu, or reshare a shared file. * You can choose which app to use in menu Menu> Quick Link Share (beta). 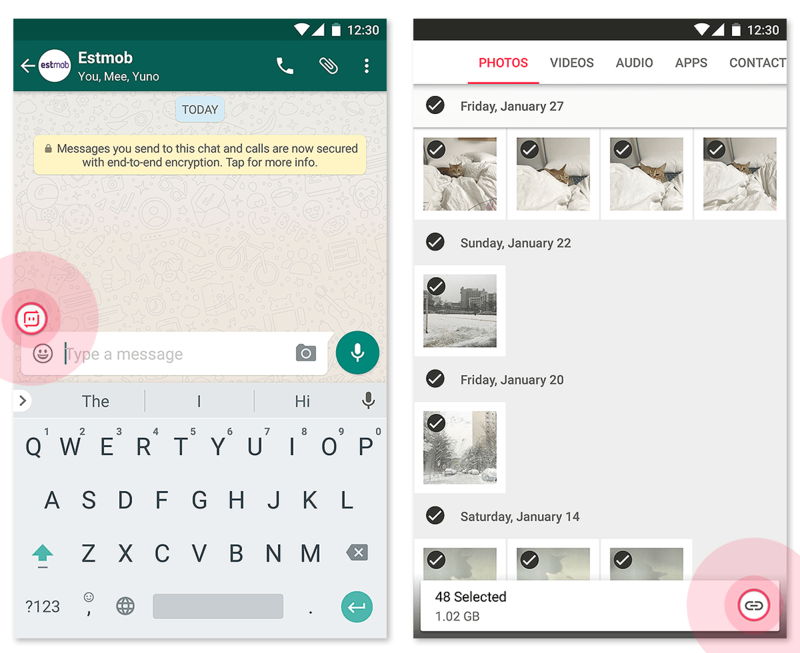 If the Messenger app does not show the Send Anywhere icon, make sure that the app is set to Enabled. * Press and hold the icon to change the position of the icon.